Generally, anxiety isn’t one of our top-ten on any gratitude lists. It can bring a lot of misery to our days, and often sends us mixed messages about what is safe and what isn’t. It can raise our blood pressure, adrenaline and cortisol levels. Anxiety can limit our willingness to go out and live our lives. It creates a host of problems ranging from worry thoughts to panic attacks and health concerns. Considering all of these factors, it may seem ludicrous to try to sing the praises of anxiety, which can so clearly become a menace for those who suffer with it. What good on earth could this miserable, gripping fear and dread amount to? At its most simplified definition, anxiety serves as a warning system that there is danger present. These internal warning signs were super useful when we were cavemen, but your average, present-day human doesn’t face the same risks or require the same warning alarms. At least not on the regular. If our minds simply reserved all types of anxiety and alarm for those times when we are in harm’s’ way, anxiety wouldn’t be a problem. We could look at it objectively and say “thank you, anxiety. I heed your warning.” Anxiety disorder yells “the sky is falling” far too often. Even though we know the sky isn’t falling, it’s hard to believe it’s not when anxiety tells us it is. It seems so convincing. People who experience anxiety are usually prepared for any situation. Having thought of all possible dreadful outcomes, they troubleshoot well in advance. If you are in distress while out and about, go find the nearest person with anxiety; they will probably have anticipated this and planned for it. Those with anxiety are often sensitive to the feelings of others. That sensitivity is often a valued asset to friends, family and even colleagues. There is a depth of understanding that comes with anxiety and can be uncommon to those who haven’t experienced it firsthand. Often, those struggling with anxiety are more inclined toward doing things to the best of their ability. This can manifest in some fairly challenging issues at times but the useful part of that is a job well done. You will most likely get quality work from someone who experiences anxiety. Those with anxiety are often some of the most in-depth thinkers you could ever meet. Anxiety often co-exists with introverted traits. Creativity, introversion and intelligence often travel together in a pack of three. People with these traits are excellent additions to teams in a work setting. They think creatively and will work hard for what is important to them. Because of heightened sensitivity and perceptual abilities, those who deal with anxiety are often more intuitive than most. This intuition is a valuable skill set not only for personal life but for business, leadership and a variety of other walks of life. 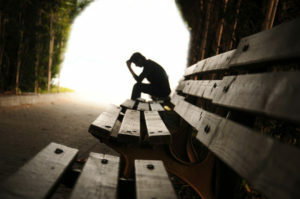 The positive aspects of anxiety still don’t negate the troublesome symptoms that can get in the way of a healthy life. The trick is to keep the best parts of anxiety-driven behavior and successfully manage the ones that don’t serve you. Pay attention to your stress levels. Create a rating scale from 1-10 and check in with yourself periodically to gauge your levels of anxiety. If you’d like to become even more detailed, write down some signs and symptoms of level one versus level 10 and track it with a journal or a chart. People who have anxiety also frequently tend toward isolation, particularly if social anxiety is part of the picture. Guard against spending too much time alone. Even introverts need relationships with others. Too much isolation is also a symptom of depression. Getting stuck in loop mode. Beware of loop mode with anxiety. Loop thoughts can revolve and get stuck on a particular theme or worry. These themes can be compelling and believable but aren’t generally useful and can detract from the focus on more important things. Keep a coping skills list on hand for easy access. Maintaining a useful set of coping strategies for extra stressful days. It will help control the worst symptoms so that you can use the practical skills to your benefit. Whether you have one or two anxiety symptoms or all of them, be sure to recognize the benefits of anxiety along with the challenges. Too often we stay focused on the negative traits that coexist with mental health issues, and the many positive aspects are dismissed. When we learn to accept the complete picture of mental health challenges, we begin to chip away at the stigma that keeps it silenced in our culture. There is good, even alongside a diagnosis such as Anxiety Disorder. Diagnoses are only valuable as methods to describe one’s lived experiences and needs. If we learn to manage negative symptoms and capitalize on the positive ones, mental health challenges become less of a burden. This applies to depression and a host of other disorders. Before modern diagnoses came along, we didn’t have a cross cultural knowledge of what this spectrum of traits meant. As we have grown and become more sophisticated in our knowledge of the human mind, we have developed these sets of criteria (DSM 5). This book is only as useful as me make it. Learning the symptoms, triggers and thought patterns that contribute to conditions such as anxiety can help us improve quality of life through better decision making. It is time to honor those parts of ourselves and acknowledge the gifts they bring, as well as working to resolve the challenges. We are not defined by our diagnoses, they are only pieces of the puzzle that tell the story of who we are. We have a lot of options that are only available to us if we decide to create our own definition of self that honors our best traits. Teyhou Smyth is a Registered Associate Marriage and Family Therapist (IMF #95707) and Registered Associate Professional Clinical Counselor (PCCI #13833) focusing on Emotion Focused Therapy and Cognitive Behavior Therapy.Originally from the United Kingdom, Teyhou earned her B.A in Psychology from the University of Southern California and completed a M.A. in Sociology at Goldsmiths College, University of London. Teyhou went on to complete a second Masters in Marriage and Family Therapy at the California School of Professional Psychology. Teyhou has experience helping clients with a variety of challenges.She has counseled clients on issues related to self-confidence, anxiety, depression, trauma, PTSD, addiction, relationship issues and life transitions. Teyhou places high value on personal development and wellness allowing for the achievement of one’s full potential, which ultimately leads to living a fulfilled life. This is a really insightful blog full of great guidance. Thank you.